I thought there was a month called easter (situated between December and January). I have no idea why. I once thought Inika builds were a good way to make MOCs. I once believed that I would be abducted by oversized vegetables who could phase through my ceiling. I believed that either all the world was a stage and that everyone else in the world was all living parts to keep me in an illusion, or that everyone else I met was a hologram and someday I would wake up to be the only person on the planet. I thought that Takanuva had a name with ~10 different syllables. 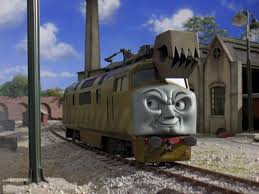 Aw dude I loved that movie with Bad Diesel. For some reason when I was young I thought you had to go through a portal to go from one state to another. Did you suffer from the Truman Show Syndrome? When i was a kid i thought that i would die at age 7. I have no idea why, but I was always terrified of the filter grates at the bottom of a pool and the grated lights along the wall of the pool. For some reason, I always thought it would open up and I would get sucked in. I thought electronic fans would rip me to shreds if I touched them. I used to think that you became a vampire if another vampire sucked your blood. Then I learned you have to put on an Aztec stone mask and have a suitable blood sacrifice to become one. I had dyslexia, BUT ONLY WITH BIONICLE NAMES. Which meant I always thought Lesovikk was pronounced levoskii for some reason. And there were many misconceptions I had about the opposite gender when I was 5. I also thought that all TV shows were live, even cartoons. I thought Maxilos was called Maxilox...which sounds way cooler IMO. I pronounced Pridak as Pree-dak.